﻿ bright field vs dark field Differences | dark field microscope,dark field microscope manufacturer. If you are a man of science, you probably love microscopes. Microscopes are useful tools that help us see the unseen. With just our naked eyes, we won’t be able to see the tiniest speck of an organism or the tiniest structure of a nonliving object. The invention of microscopes has led us to discover more of the things in our surroundings. Every time we look at the lenses of microscopes, we are often awed by what they reveal to us. The most common types of microscope are the bright and dark field microscopes. These microscopes are the ones we often use in our biology and laboratory classes. 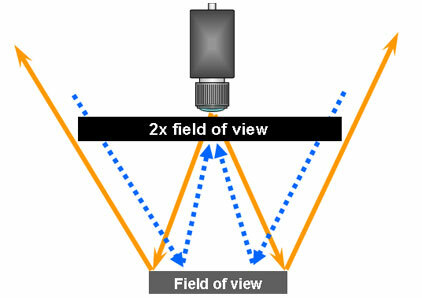 Read on to understand the differences between bright and dark field microscopes. The bright field microscope is considered the most basic type of microscope. Since it can be easily operated, this is the very first type of microscope that students handle. As its name implies, when you observe a specimen under a bright field microscope, the specimen will look dark and its field will look bright. Most often, the bright field microscope can be termed as a light microscope. Though the bright field microscope covers only basic microscopic investigations, it can be used in discipline areas like microbiology, bacteriology, or other life sciences. It can be used to illuminate and magnify specimens of live cells. But before viewing the specimen under this microscope, you have to apply the staining technique. Most organic specimens are often transparent, so we need a staining material to make them visible under the bright field microscope. On the other hand, a dark field microscope is a kind of microscope that lets its user observe specimens under a completely dark background. The specimen will appear brightly lit against its contrasting dark field. You can easily modify or adjust the settings of your microscope to illuminate the specimens under a dark field. Like the bright field microscope, a dark field microscope is used in various disciplines such as microbiology and bacteriology. It is best used to illuminate unstained specimens with similar refractive values to that of the background. In other words, it is ideal for viewing objects that absorb little light. Among the specimens you can view under the dark field microscope are: aquatic organisms like algae and planktons, live bacteria, insects, yeast, hairs, and many more. Researchers prefer using dark field microscopy when they want to examine the external details of their specimens. When we say “external details,” this includes the outlines, boundaries, edges, or surface defects of the specimen. A microscope is an important tool of researchers as well as microscopy students which helps illuminate and magnify certain specimens. The bright field microscope can also be termed as the light microscope. It is considered the most basic type of microscope which is why microscopy students are first exposed to handling this type of microscope. When you view a particular specimen under a bright field microscope, you will observe that the specimen is dark while its background is bright; hence the name bright field microscope. Both bright and dark field microscopes can be used in various disciplines such as microbiology, bacteriology, or any other life sciences. Specimens which are transparent are often stained and observed under a bright field microscope. Specimens which absorb little or no light are kept unstained and observed under a dark field microscope.